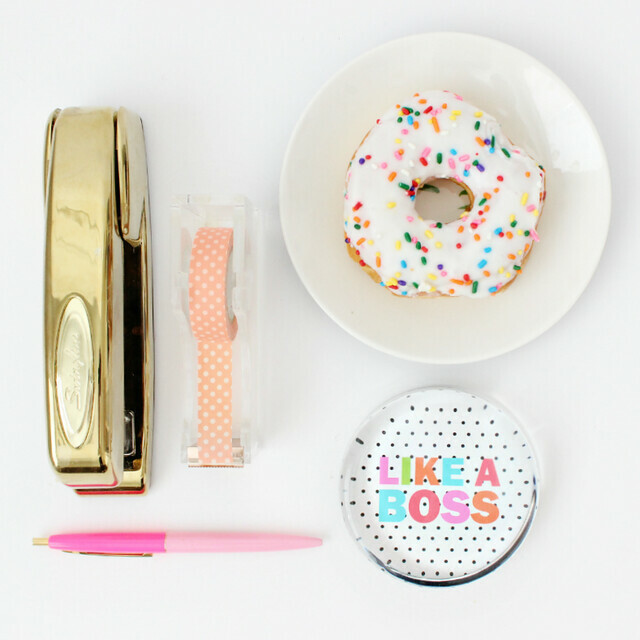 As many of you know, I like to keep my office organized and stylish...like a boss! 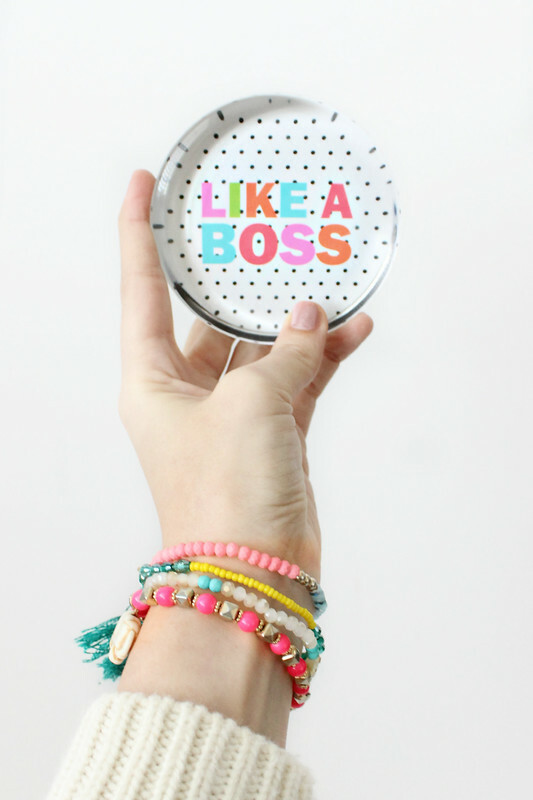 I think it's incredibly important to have office accessories and organizational items that are playful, fun, and most importantly...inspirational around you while you work; especially if you're like me and work from home. Your office or home office should be somewhere that bolsters and sparks your creativity, and should never ever quell it! 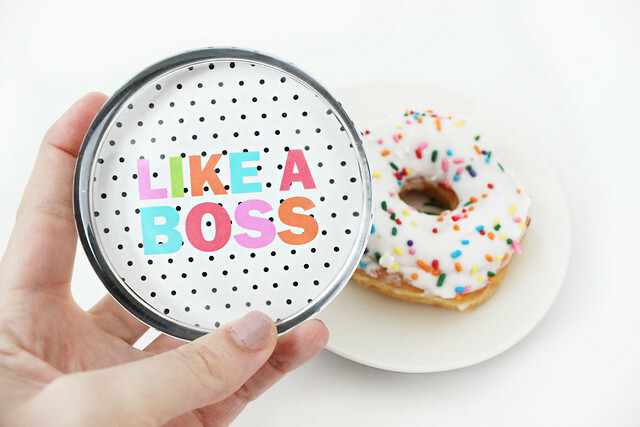 After all, you're trying to work...like a boss! 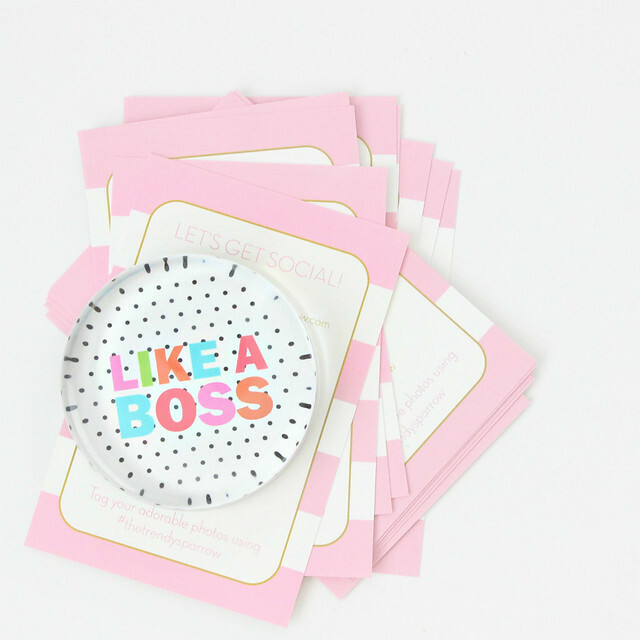 It's no surprise that a boss lady like me instantly fell in love with this "Like A Boss" paperweight from When It Rains Paper Co.
My new paperweight helps me stay organized and keeps all of my important papers and packaging supplies in order. But more than that, it makes me smile. 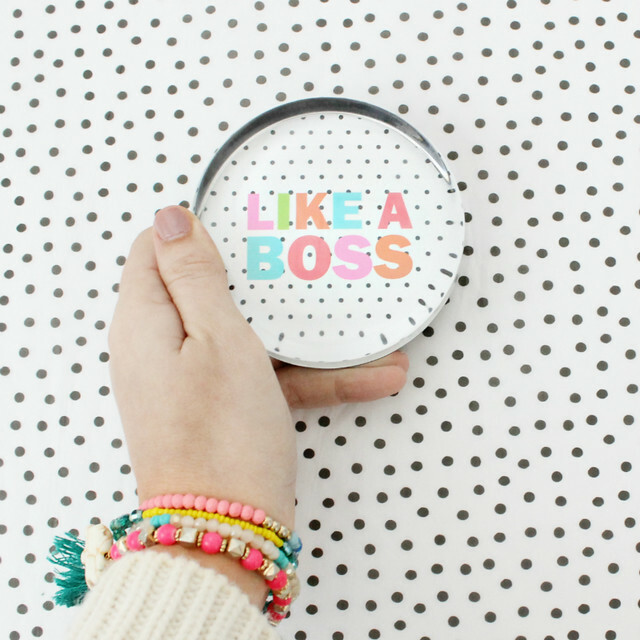 I'm the boss lady polka dot queen, and it's the perfect accent to my desk. While it's amazing at doing it's job of holding papers, it's best quality is that it keeps me motivated. I like being able to look over at it and feel inspired to keep working. We all need something like that in our lives and at our desk. Sometimes we just don't want to work. Little reminders can make all the difference. So...you know you really want one now, don't you?? Good thing for you, our fabulous friends over at When It Rains Paper Co have offered to give one away to one of our amazing readers! Head over to my Instagram to find out how to win! Head over to my Instagram to find out how to win! For more ideas, check out my home decor and office decor Pinterest Boards.